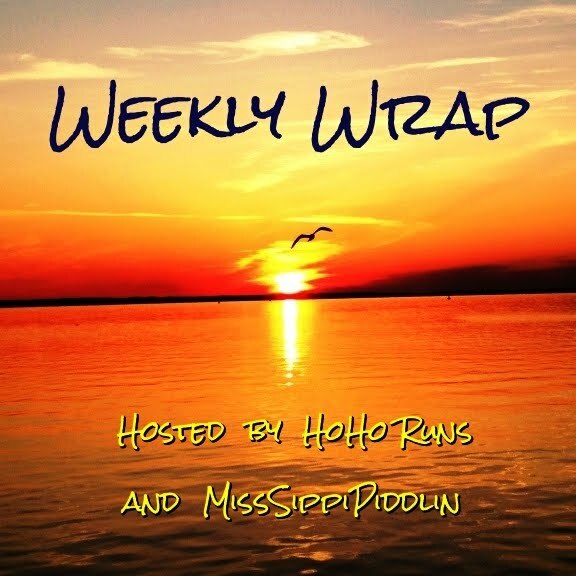 It's that time of the week again where we are participating in the Weekly Wrap. Wow, these weeks just keep breezing by don't they? Here's a little bit about what went down last week. * I hate to sound like a broken record but I was still dealing with foot pain and a stiff neck. Neither of which bothered me during the race this weekend though. *Speaking of race, we spent our annual weekend in Atlantic City for the April Fools race. This was our 4th year running this race and this year was truly like no other. 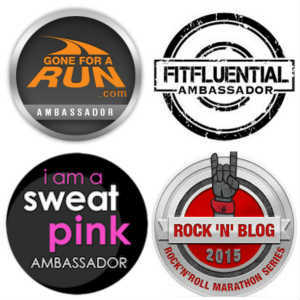 We will be recapping the race later this week and I do hope you come back to read about it. * We are happy to say hello to April and are anxious to see what kind of weather she brings us. We really had beautiful weather in March but it was very windy. I guess that's why they say Spring comes in like a lion. After seeing some IG posts of people getting snow this morning, I was very happy to see our area did not get any. I see we will be having a few wet days this week but than after that it looks like Spring should be here in all its warm glory! How's that for keeping things short and sweet? Can't wait to share our race recap! I can't wait to hear about your Atlantic City race - I have been dying to run there! It really is a great race! We have had super awesome weather this March, especially in comparison to last year! Although as I type this comment it's snowing out, lol. Oh no, sorry about the snow. That does not make for a good April! Yes, I cannot believe people are still getting snow! I'm glad there's none here! Sorry to hear about the foot and neck issues - I wish you a speedy recovery! Oooh, Atlantic City for the April Fool's race sounds like so much fun! I look forward to hearing more details! Yes - Chicago got snow yesterday and crazy winds. Can't wait for spring to truly arrive and stay awhile!!! This weather has been crazy, but hopefully spring will soon be here to stay! We had some snow yesterday...and then it melted...and then it snowed...and then it melted. It was crazy windy, too! This spring is crazy. I hope your foot and neck calms down! Thank you! I hope your weather calms down up there! Yes!! I did get to talk to Mar! I'm really excited to read the recap, too. That weather sounded insane. We had strong winds this weekend - especially Saturday night. I guess it also snowed here in Columbus, but I had the curtains closed so I didn't see it. ha! We had torrential rain for two days, but other than that...nothing too crazy. Getting together every year in Atlantic City for the April Fools race sounds like a wonderful idea. I look forward to hearing more about it. I love meeting up with my sister. 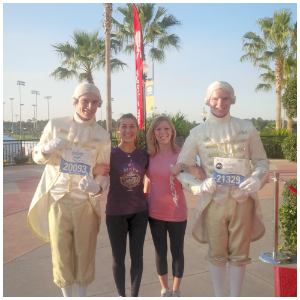 We occasionally run together too. Thanks for linking with us. I've been super spoiled by the weather here in California, but may have to return to the snow soon. :'( Nooooo! Our weather has been all over the place too. I really hope that April is a bit more settled, as we want to get started on our garden. I saw crazy weather on social media this weekend. We had t-storms last week, but the weather this weekend was finally good. The past two weekends have brought cold fronts just in time for the weekend, but it was gorgeous both days. It's pretty common for it to snow in April (per my running logs from the past few years). I think people just want to deny that it can snow again after it being so warm in March! Glad you had a good race! I'm glad to hear the foot pain and your neck did not bother you on race day. Our weather has been pretty crazy lately, too. I hope things settle down soon and we can enjoy a few weeks of nice spring weather before summer heat starts to creep in on us! Nothing wrong with short n sweet! 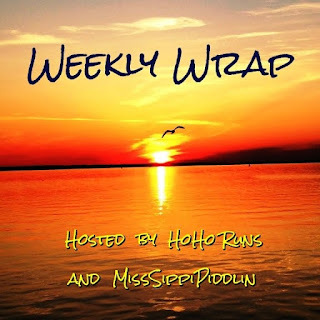 I'm so glad yall made it to the Weekly Wrap! I saw a picture of that April Fool's race, what a medal too! I'm headed there not to see how it went! Thanks ladies! Oh and I sure hope that food and neck gets better.